As I mentioned in my last post, my cat is not a exactly dainty. Yesterday he stuffed himself into a 9" cake pan in one of my cupboards, there were bits of him overflowing in every direction. This morning, before he was awake, I replaced it with a giant turkey roasting pan. We are both acting like nothing happened but I can tell he likes it much better. 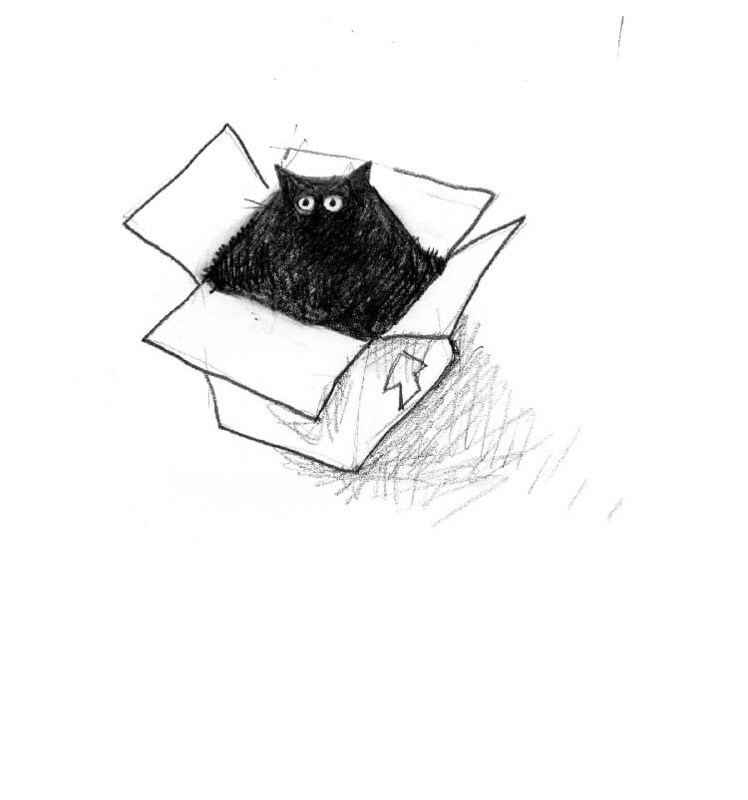 Here is a drawing of one of Denyse's cats, who also likes to stuff himself into things slightly smaller than he is. This is his box. He likes to be pushed around in it.